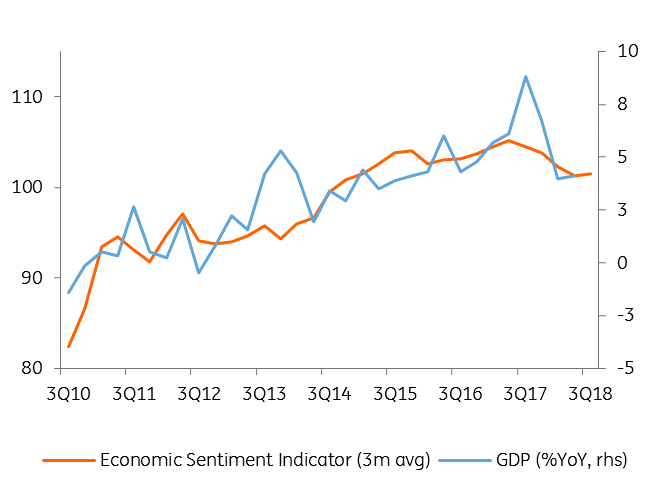 The Economic Sentiment Indicator reached its highest point since January 2018 as confidence increased across the board, with only a small hiccup for the services sector. 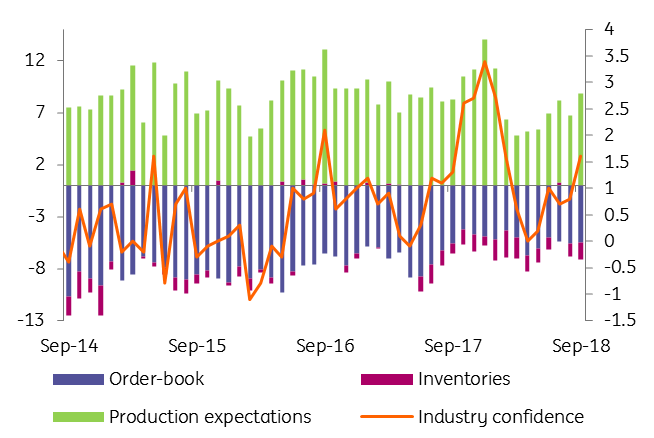 The most important sector by weight in the index - confidence for industry - rebounded for the second month in a row, driven by more optimistic expectations on export order book levels and the reduction of inventories. This is a good sign, with the latest data showing that the economic slowdown has likely bottomed. 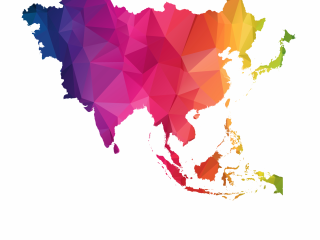 However, the outlook is not encouraging as the external picture points to a further moderation of demand. After falling quite sharply in the first part of the year, consumer confidence recovered nicely and is now at its highest since September 2017. Moreover, the improvement is broad-based with all subcomponents posting decent gains. 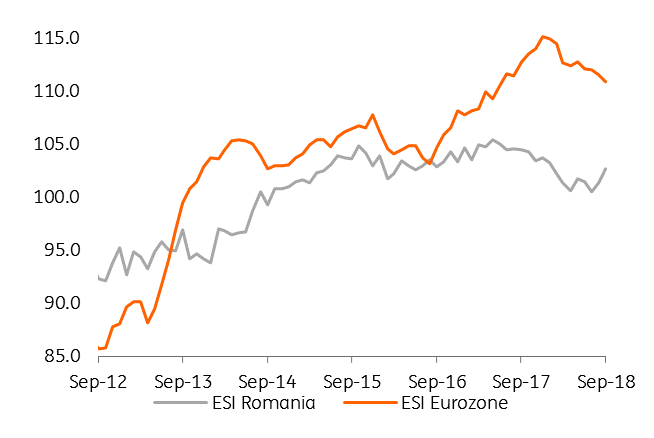 This could be a relief for the supporters of Romania’s demand-driven economic growth model and shows that consumers might have cast aside worries about inflation, interest rates, fiscal uncertainties and political tensions. The star of the day however - despite its low weight in the overall index – is the retail sector, which made its sharpest comeback in the last two years, with retailers pointing to very strong business activity over the past three months and high hopes for business to perform well in the upcoming period. The positive effect could also have been boosted by the popular back-to-school buying spree. 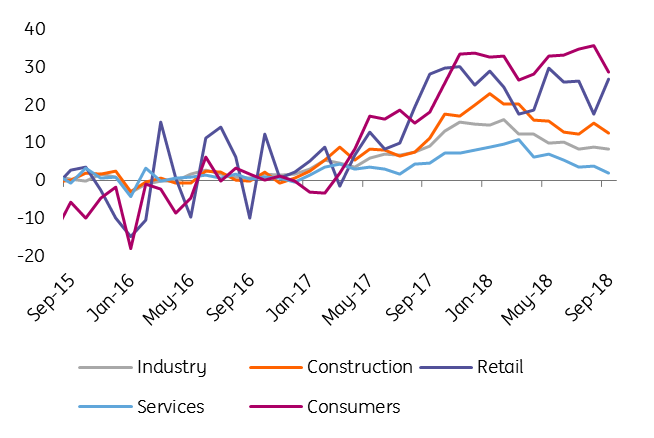 A touch on the negative side was confidence in services, which still struggled to recover after marking a three year low in July 2018. 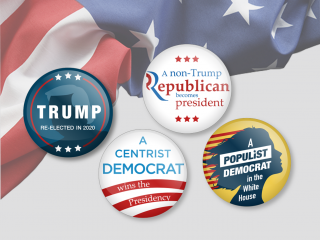 While expectations are improving, actual demand is still lacking. 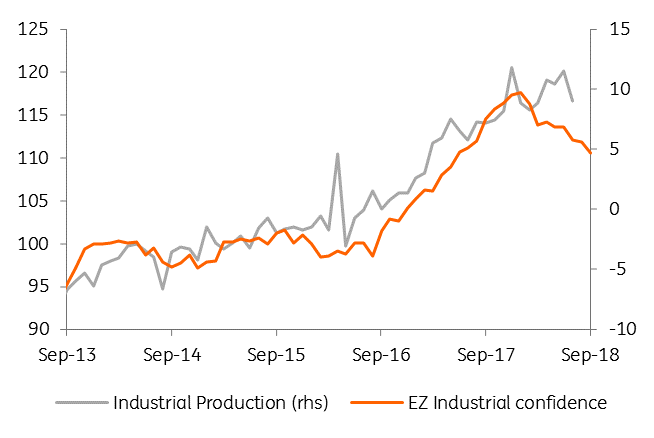 Price expectations data trending lower in most industries and a greater conviction among consumers about the declining inflation trend should offer some comfort to the National Bank of Romania to keep rates on hold for the remainder of this year. 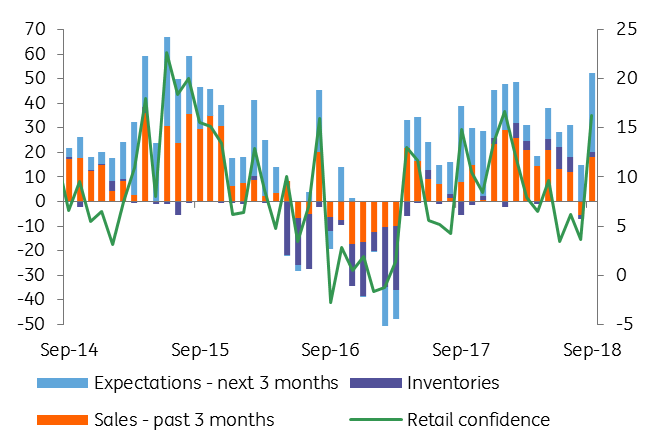 Today’s data confirms the mild positive numbers of the previous month and could be a sign that economic activity accelerated in sequential terms in 3Q18 albeit at a modest pace. 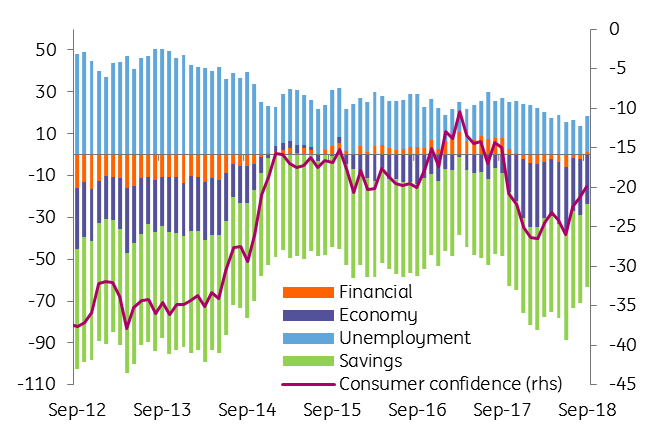 We particularly highlight the improvement in the level of consumer confidence, which should keep afloat Romania’s demand-dependant economic growth.